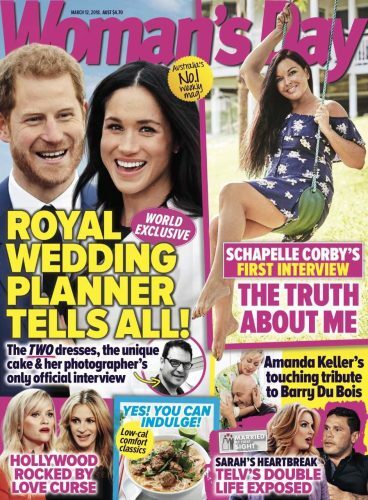 The latest edition of Woman’s Day (out this morning) has published what it is calling a “world exclusive” with Schapelle Corby at home on the Gold Coast. The interview, conducted over two days by editor-in-chief Fiona Connolly, sees Corby open up about her plans for the future, her hopes for a family of her own and how she has finally found some peace and happiness on the Gold Coast. In addition to the Schapelle cover story, Woman’s Day’s digital platform Now to Love will release exclusive content from Schapelle’s interview and photoshoot throughout this week.